Two men arrested over the possession of a firearm on Monday evening in Killester are being questioned in Clontarf Garda Station today. Assistant Garda Commissioner John O’Driscoll said the arrest marked the 54th intervention by gardaí to foil a suspected gangland hit, since the Regency shooting in February 2016. The two men were arrested while in a taxi on the Howth Road, Killester, north Dublin. One primary line of inquiry will be to establish if the men are connected to the Hutch Kinahan feud, and if so who the intended target of the potential murder attempt was. The men, aged 25 and 28, were arrested after gardaí discovered a loaded Smith & Wesson handgun and ammunition in the vehicle. Due to the fact the handgun was loaded gardaí strongly suspect the two individuals may have been en route to attempt a gangland assassination. 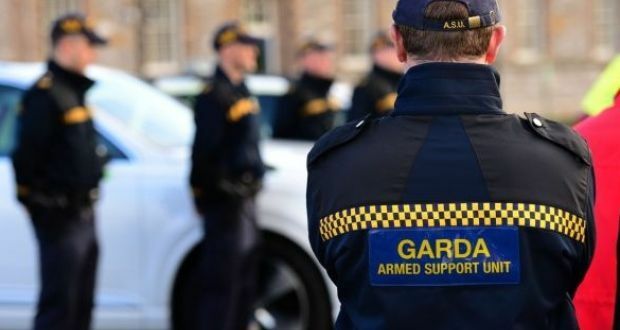 The vehicle had been stopped and searched by gardaí from the Special Crime Operations and Garda National Drugs and Organised Crime Bureau at 5pm on Monday. The operation was supported by specialist security and intelligence units. Speaking on RTÉ Radio One’s Morning Ireland programme, Mr O’Driscoll said the arrest was due to “unrelenting garda activity” monitoring the actions of suspects and suspicious activity. There had been 54 interventions by gardaí “where there was a significant threat to life,” in the last two years, he said. Last year there were 25 to 26 such interventions while there have been eight so far this year. The declining number of attempted gangland murders foiled was down to increased garda pressure on organised crime factions, Mr O’Driscoll said.